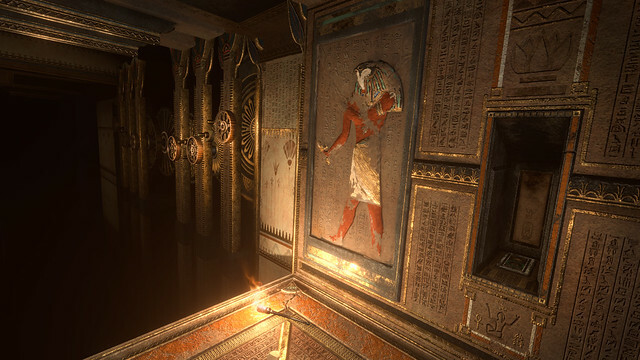 Today, Ubisoft announced that the VR Escape Room Experience Escape the Lost Pyramid is now available in several locations across the US and Europe. Escape the Lost Pyramid is exclusively available at location-based entertainment venues and is designed for cooperative multiplayer VR experiences. All current and future locations can be found at ubisoftescapegames.com/escape-the-lost-pyramid. With the development and operation of this new experience, Ubisoft continues to strengthen its position in the location-based VR market. Developed by Ubisoft Blue Byte, Escape the Lost Pyramid is the first experience available for the Ubisoft Escape Games platform and is set in the re-creation of Ancient Egypt from Assassin’s Creed® Origins. Two or four players team up and have 60 minutes to find a way out of the pyramid of Nebka. They will experience a larger-than-life adventure where they will encounter thrilling team challenges and puzzles while being immersed in the VR game world. The only way to succeed is for players to communicate and work together. The next experience is currently in development – for release in early 2019 – and will be set in the world of the recently released Assassin’s Creed® Odyssey.